CAPTAIN AL 9 wins-3 at 2-from 1000m to 1600m, R753,800, Kenilworth Cape Argus Guineas, Gr.1, Merchant’s S., Gr.2, Diadem S., Gr.2, Matchem S., Gr.3, 2d Clairwood Nursery S., Gr.3, 3d Greyville Guineas Trial, Gr.3, Kenilworth Matchem S., Gr.3. He entered stud in South Af in 2001. 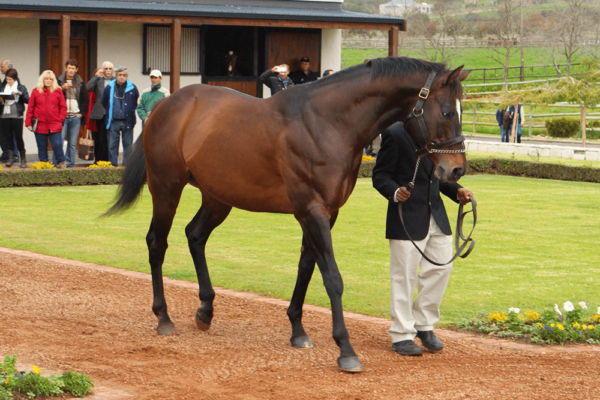 Champion South African Sire in 2014-15, 2017-18. 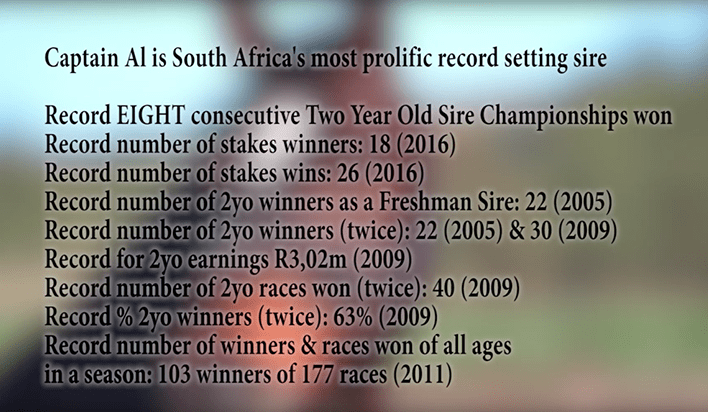 Leading South African Sire of 2YOs in 2008-09, 2009-10, 2010-11, 2011-12, 2012-13, 2013-14, 2014-15, 2015-16. Leading South African Sire by Winners in 2014-15. Sire of 853 progeny to race, 651 winners (76.0%), earnings of over $23 million, 90 stakes winners, 78 stakes placegetters, inc. CARRY ON ALICE (11f, Western Winter, Best by Test). Champion Sprinter & Older Female in South Africa in 2016-17.11 wins-2 at 2-to 1200m, R4,591,250, Kenilworth Cape Flying Championship, Gr.1, Scottsville South African Fillies Sprint, Gr.1-twice, Turffontein Computaform Sprint, Gr.1, South African Nursery, Gr.1, Kenilworth Southern Cross S., Gr.2, Turffontein Man o’ War Sprint H., Gr.3, Welcome to Turffontein Racecourse Juvenile P., Vaal Itsarush.co.za P., Turffontein Champions Day Tickets at Webticket S., Jacqueline Henderson S., 2d Greyville Mercury Sprint, Gr.1, Thekwini S., Gr.1, Scottsville Gold Medallion S., Gr.1, Turffontein Computaform Sprint H., Gr.1, Kenilworth Southern Cross S., Gr.2, Sceptre S., Gr.2, Turffontein Gardenia S., L, All to Come Progress P., 3d Kenilworth Cape Flying Championship, Gr.1-twice, Turffontein Computaform Sprint, Gr.1, Ipi Tombe Challenge, Gr.2, Pretty Polly S., Gr.3. CAPTAIN AMERICA (10g, Fort Wood, Top Ville). 10 wins-1 at 2-from 1400m to 1800m to 2017-18, R6,062,925, Greyville Gold Challenge, Gr.1, Champions Cup, Gr.1, Turffontein Horse Chestnut S., Gr.1, Kenilworth Green Point S., Gr.2, Durbanville Matchem S., Gr.3, Kenilworth Lanzerac Ready to Run S., Carol Bouwer South African Luxury Emporium H., 2d Greyville Champions Cup, Gr.1, Kenilworth Queen’s P., Gr.1, Cape Guineas, Gr.1, Cape Derby, Gr.1, Turffontein Horse Chestnut S., Gr.1, Kenilworth Hollard Humdinger S., 3d Kenilworth J&B Metropolitan H., Gr.1-twice, Queen’s P., Gr.1, Greyville KRA Guineas, Gr.2, Kenilworth Green Point S., Gr.2-twice, Turffontein Champions Day S., Kenilworth Supabets S., Turffontein Happy 90th Birthday Johnny Joseph Conditions P., 4th Greyville Daily News 2000 S., Gr.1, Gold Challenge, Gr.1, Kenilworth Queen’s P., Gr.1, Green Point S., Gr.2. ALL IS SECRET (09f, Goldkeeper, Royal Academy). Champion 2YO Filly in South Africa in 2011-12.6 wins-3 at 2-from 1200m to 1600m, R1,537,380, Clairwood Mercury Sprint, Gr.1, Greyville Thekwini S., Gr.1, Scottsville Allan Robertson Championship, Gr.1, Kenilworth Choice Carriers Championship, Gr.2, Scottsville Poinsettia S., Gr.3, 2d Kenilworth Sceptre S., Gr.2, Scottsville Debutante S., Gr.2, Kwazulu-Natal S., L, 4th Kenilworth Cape Fillies Guineas, Gr.1, Scottsville South African Fillies Sprint, Gr.1. CAPTAIN OF ALL (10c, Fard, Forty Winks). Champion Sprinter in South Africa in 2014-15.7 wins-2 at 2-at 1000m, 1200m, R2,251,900, Greyville Mercury Sprint, Gr.1, Scottsville Tsogo Sun Sprint, Gr.1, Gold Medallion S., Gr.1, Kenilworth Diadem S., Gr.2, Scottsville Racing. It’s a Rush S., 2d Kenilworth Cape Flying Championship, Gr.1, 3d Greyville Golden Horseshoe S., Gr.1, Turffontein Computaform Sprint H., Gr.1. SNOWDANCE (14f, Joshua Dancer, Royal Academy). 4 wins-1 at 2-from 1100m to 1600m to 2017-18, R2,066,000, Kenilworth Cape Fillies Guineas, Gr.1, Majorca S., Gr.1, Western Cape Fillies Championship, Gr.2, 2d Greyville Gold Challenge, Gr.1, Garden Province S., Gr.1, KZN Fillies Guineas, Gr.2. CAPTAIN’S GAL (05f, Centenary, Esplendor). 9 wins from 1150m to 1600m, R1,059,675, Scottsville South African Fillies Sprint S., Gr.1, Turffontein Camellia S., Gr.2, Greyville Flamboyant S., Gr.3, Turffontein Syringa H., L, Ms NE Higgins Conditions S., Vaal Computaform Rating Conditions P., C Division H., 2d Turffontein Johannesburg Spring Fillies & Mares Challenge, L, Mrs J Wilkins H., 3d Clairwood Tibouchina S., Gr.2, Turffontein Ipi Tombe Challenge, Gr.2, Goldfields Sprint H., L, 4th Clairwood Mercury Sprint, Gr.1, Turffontein Three Troikas S., Gr.3. SERGEANT HARDY (13c, Hard Up, Allied Flag). 8 wins-3 at 2-to 1200m to 2017-18, R1,827,625, Kenilworth Cape Flying Championship, Gr.1, Cape of Good Hope Nursery, Gr.3, Summer Juvenile S., L, Southeaster Sprint, L, Need for Speed Sprint, Play Soccer 6 10 & 13 S., 2d Greyville Durban Dash, Kenilworth Ready to Run S., Greyville Kas Govender Memorial S., Scottsville Itsarush.co.za S., 3d Kenilworth Diadem S., Gr.2, 4th Kenilworth Somerset P., L.
CAPTAIN’S LOVER (04f, Badger Land, Argosy). Champion 3YO Female Miler in South Africa in 2007-08.7 wins-2 at 2-from 1000m to 1800m, €54,275, US$175,700, R647,700, Kenilworth Cape Fillies Guineas, Gr.1, Fillies Championship S., Gr.2, Longchamp Prix du Pin, Gr.3, Monmouth Matchmaker S., L, 2d Kenilworth Diana S., Gr.3, 3d Kenilworth Paddock S., Gr.1, Monmouth Miss Liberty S., L, 4th Longchamp Prix de la Foret, Gr.1, Belmont Beldame S., Gr.1. THE SECRET IS OUT (13f, Goldkeeper, Royal Academy). 6 wins-3 at 2-to 1400m to 2017-18, R1,172,275, Scottsville Allan Robertson Championship, Gr.1, Greyville Tibouchina S., Gr.2, Scottsville Poinsettia S., Gr.3, Strelitzia S., Gr.3, Durbanville Supabets P., 3d Scottsville South African Fillies Sprint, Gr.1, Poinsettia S., Gr.3, 4th Scottsville South African Fillies Sprint, Gr.1. HILL FIFTY FOUR (08g, Sportsworld, Dancing Champ). 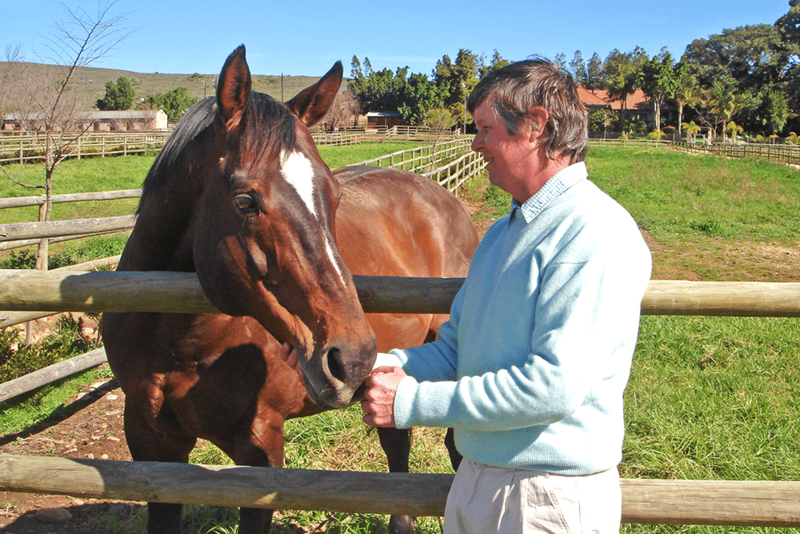 7 wins from 1600m to 2000m, R2,664,310, Kenilworth J&B Metropolitan H., Gr.1, Peninsula H., Gr.2, Fairview Algoa Cup, Gr.3, Durbanville Soccer 6 H., 2d Kenilworth J&B Metropolitan H., Gr.1, Premier Trophy, Gr.2, Winter Classic, Gr.3, 3d Greyville Drill Hall S., Gr.2, Kenilworth Winter Derby, Gr.3, 4th Kenilworth Peninsula H., Gr.2. TAP O’ NOTH (14c, Western Winter, Elliodor). 4 wins-2 at 2-from 1400m to 1600m to 2017-18, R1,275,250, Kenilworth Cape Guineas, Gr.1, Cape Classic, Gr.3, Langerman H., L, 3d Greyville Daily News 2000 S., Gr.1, KZN Guineas, Gr.2, Kenilworth Play Soccer 6 10 & 13 Graduation P., 4th Greyville Champions Cup, Gr.1. UNDERCOVER AGENT (14c, London News, Lustra). 5 wins at 1400m, 1600m in 2017-18, R4,217,845, Greyville Gold Challenge, Gr.1, Byerley Turk, Gr.3, Kenilworth CTS 1600, 2d Greyville Champions Cup, Gr.1, Drill Hall S., Gr.2, Kenilworth Cape Classic, Gr.3. PINE PRINCESS (11f, Badger Land, Far North). 5 wins-3 at 2-from 1000m to 2450m, R1,470,125, Turffontein South African Oaks, Gr.1, Yellowwood H., Gr.3, Clairwood King’s Pact S., SNA Consulting Engineers Juvenile P., 2d Greyville Woolavington 2000 S., Gr.1, Turffontein Ipi Tombe Challenge, Gr.2, Clairwood Devon Air S., L, Turffontein Racing Association P., 3d Greyville Golden Slipper, Gr.1, 4th Kenilworth Paddock S., Gr.1, Turffontein South African Fillies Classic, Gr.1. EMERALD COVE (07f, Caesour, Straight Strike). 5 wins-3 at 2-from 1400m to 1800m, R1,217,750, Kenilworth Paddock S., Gr.1, Irridescence S., L, 2d Greyville Woolavington S., Gr.1, Gold Bracelet S., Gr.2, Kenilworth Odessa Stud Fillies Championship, Gr.2, Jet Master S., 3d Kenilworth Cape Fillies Guineas, Gr.1, 4th Kenilworth Majorca S., Gr.1, Perfect Promise H., L.
CLOTH OF CLOUD (13f, Fusaichi Pegasus, Majestic Light). Champion 2YO Filly in South Africa in 2015-16.3 wins at 2, R796,875, Turffontein South African Nursery, Gr.1, Pretty Polly S., Gr.3. WILLIAM LONGSWORD (13c, Fort Wood, Dancing Champ). 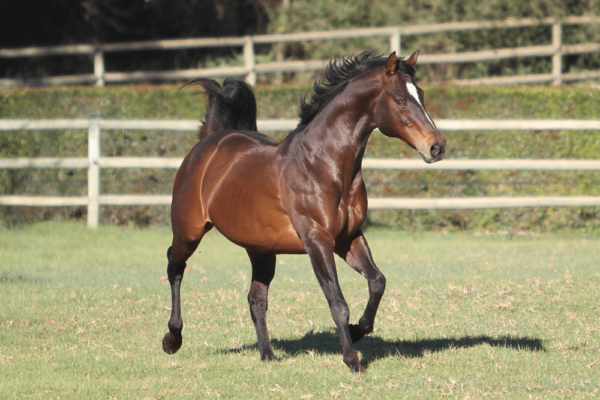 6 wins-1 at 2-at 1400m, 1600m, R4,901,250, Kenilworth Cape Guineas, Gr.1, CTS Mile. ALWAYS IN CHARGE (13c, Polar Falcon, Last Tycoon). 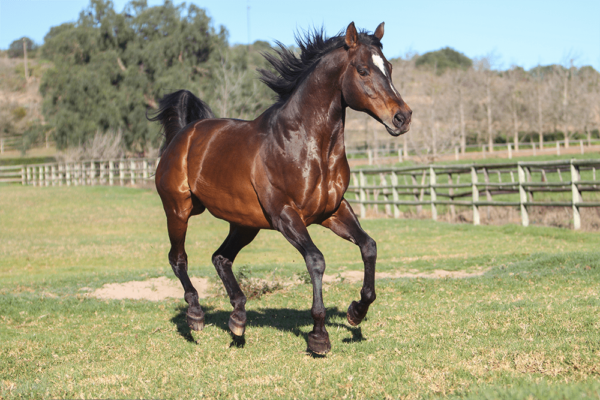 Champion 2YO Colt in South Africa in 2015-16.3 wins-2 at 2-at 1200m, R1,830,550, Scottsville Gold Medallion, Gr.1, 2d Kenilworth CTS Sprint, 3d Kenilworth Cape Merchants, Gr.2. EXHILARATION (06g, Elliodor, Boot Camp). 3 wins at 2, R737,525, Clairwood Premier’s Champion S., Gr.1, Turffontein Soccer 4 Juvenile P., 2d Scottsville Gold Medallion S., Gr.1, Turffontein South African Nursery P., Gr.2, Graham Beck S., Gr.3, Johannesburg Spring Challenge, L, Roodepoort Metal Exchange H., 3d Turffontein Mr I Sookoo Progress P., Global Aviation P.
CAP ALRIGHT (07g, Centenary, Divine King). 9 wins to 1400m, R1,065,950, Kenilworth Merchants S., Gr.2, Southeaster Sprint S., L-twice, Fancourt H., Converse S., Blouberg International School Sponsors S., Response Team H., 2d Greyville In Full Flight H., L, Arlington Cradock Place S., Racing Association H., Durbanville International Soccer 6 H., Kenilworth Old Mutual S., Elsie Tokwana H., 3d Kenilworth Cape Flying Championship, Gr.1, Diadem S., Gr.2-twice, Pinnacle S., Merchants On Long S., Speak to Us for Your Next Event S., Skechers H., Soccer 6 H., Randh Liquor Distributors H., All to Come H., 4th Kenilworth Merchants H., Gr.2. DISCO AL (09g, Badger Land, Elliodor). 7 wins from 1600m to 2400m to 2018, R1,239,298, Scottsville Track & Ball Derby, Gr.2, Fairview Algoa Cup, Gr.3-twice, 2d Greyville Lonsdale Stirrup Cup, Gr.3, Mauritius TC 175th Anniversary Cup, Winter S., 3d Clairwood Betting World S., Gr.2, Greyville Darley Arabian H., L, Durbanville Racing It’s a Rush H., Turffontein Milestone Beverages S.
FRAGRANT AL (07f, Fort Wood, Harry Hotspur). 5 wins-1 at 2-to 1450m, R528,075, Clairwood Tibouchina S., Gr.2, Arlington Ibhayi S., L, Kenilworth Olympic Duel S., L, 2d Clairwood Golden Slipper, Gr.1, Kenilworth Upper Eastside Hotel P., Touch Tote H., 3d Fairview East Cape Paddock S., L, Kenilworth Sweet Chestnut S., L.
TOWNSEND (06f, Dominion Royale, Tilden). 5 wins-2 at 2-at 1400m, 1600m, R446,400, Kenilworth Fillies Championship S., Gr.2, Durbanville Diana S., Gr.3, Kenilworth Stormsvlei Mile, L, 2d Kenilworth Sweet Chestnut S., L, Novel Motors H.
CAPTAIN ALDO (10c, Elliodor, Jungle Cove). 9 wins from 1200m to 1600m to 2017-18, R1,214,950, Turffontein Hawaii S., Gr.2, Wolf Power H., L, Egyptair International H., Vaal IFM 102.2 Heritage 1200, Turffontein GVSC S., Racing It’s a Rush H., Vaal Gin and Craft Beer Festival in March S., Racing. It’s a Rush H., 2d Turffontein Tab H., Itsarush.co.za S., Tellytrack.com S., Interbet.co.za S., Start of the Pick 6 Mega Carryover H., Vaal Itsarush.co.za H., Racing It’s a Rush H., Emerald Cup Raceday H., 3d Vaal Itsarush.co.za H., Turffontein Johannesburg Prawn Festival Day P., Vaal Racing. It’s a Rush H., 4th Turffontein Merchants H., Gr.2. JO’S BOND (12f, Muhtafal, Cadeaux Genereux). 8 wins-2 at 2-at 1000m, R762,525, Kenilworth Southern Cross S., Gr.2, Scottsville Kwazulu-Natal S., L, 4th Kenilworth Cape Flying Championship, Gr.1, Scottsville South African Fillies Sprint, Gr.1. DANCE WITH AL (05f, Dancing Champ, Foveros). 6 wins-1 at 2-at 1000m, 1200m, R808,455, Kenilworth Merchants S., Gr.2, Southern Cross S., Gr.2, KR Stewart Engineering Allowance P., 2d Greyville KZN Fillies Guineas, Gr.2, Kenilworth Sceptre S., Gr.2, Clairwood Poinsettia S., Gr.3, Kenilworth Champagne S., Gr.3, Fairview Lady’s Pendant, L, 3d Greyville Garden Province S., Gr.1, Kenilworth Diadem S., Gr.2, Sceptre S., Gr.2, 4th Greyville Garden Province S., Gr.1, Kenilworth Majorca S., Gr.1. SEARCH PARTY (12c, Pennekamp, Damister). 5 wins from 1000m to 1600m, R1,152,800, Greyville Post Merchants H., Gr.2, Kenilworth Cape Merchants H., Gr.2, Haak Fourie and Snyman S., 2d Greyville Mercury Sprint, Gr.1, Scottsville Tsogo Sun Sprint, Gr.1, Kenilworth Racing It’s a Rush S., 3d Kenilworth Diadem S., Gr.2, 4th Scottsville In Full Flight H., L.
PRINCESS ROYAL (12f, Rakeen, Centaine). 4 wins-2 at 2-at 1100m, 1200m, R621,875, Kenilworth Sceptre S., Gr.2, Fairview East Cape Fillies Nursery, L, 2d Scottsville Allan Robertson Championship, Gr.1, 3d Scottsville Strelitzia S., Gr.3, 4th Kenilworth Southern Cross S., Gr.2, Summer Juvenile S., L.
CELTIC SEA (15f, Mark of Esteem, Roi Normand). 2 wins at 2 in 2017-18, R692,000, Greyville Golden Slipper, Gr.2, Turffontein Pretty Polly S., Gr.3, 2d Scottsville Allan Robertson Championship, Gr.1, Turffontein Happy St Patrick’s Day Juvenile P., 4th Turffontein South African Fillies Nursery, Gr.2. CAPTAIN’S WILD (06g, Esplendor, St Paddy). 5 wins from 1400m to 2000m, R867,925, Turffontein Colorado King S., Gr.2, Mrs DB Hollis-Martin H., Fire Control/Comprac Holdings H., Vaal Sten Stainless Steel H., 2d Turffontein Champions Challenge, Gr.1, 4th Greyville Lonsdale Stirrup Cup, Gr.3, Schweppes H., Gr.3. FIORELLA (14f, Caesour, Foveros). 4 wins-1 at 2-from 1200m to 1600m to 2017-18, R856,625, Greyville KZN Fillies Guineas, Gr.2, Scottsville Racing It’s a Rush S., Soccer 6 H., 2d Greyville Woolavington 2000, Gr.1, KZN Fillies Guineas Trial, 4th Turffontein South African Fillies Classic, Gr.1. SECRET CAPTAIN (13c, Royal Academy, Secreto). 3 wins-1 at 2-from 1200m to 1800m to 2018-19, R652,100, Greyville KZN Guineas, Gr.2, Turffontein Grand Heritage in September H., 2d Turffontein Drum Star H., L, Scottsville Racing It’s a Rush H., Turffontein Reichmanscapital H., DCB Logistics Progress P., 3d Scottsville Nashua Maritzburg S., 4th Turffontein Graham Beck S., Gr.3, Wolf Power H., L.
CAPTAIN’S CALL (06f, London News, Elliodor). 2 wins at 2, R219,250, Scottsville Debutante S., Gr.2, 3d Clairwood Devon Air S., 4th Scottsville Allan Robertson Fillies Championship, Gr.1. CAPTAIN’S FLAME (12f, Fort Wood, Harry Hotspur). 5 wins from 1200m to 1600m, R566,125, Durbanville Diana S., Gr.3, Kenilworth Sweet Chestnut S., L, Stormsvlei Mile, L, 2d Kenilworth Prix du Cap, Gr.3, Midas H., 3d Kenilworth McNaughtans H., 4th Durbanville Diana S., Gr.3, Kenilworth Prix du Cap, Gr.3, Olympic Duel S., L.
TRINITY HOUSE (08f, National Assembly, Peacetime). 5 wins-4 at 2-to 1400m, R573,360, Kenilworth Fillies Nursery, Gr.3, Scottsville Umzimkhulu S., Gr.3, Kenilworth Perfect Promise H., L, 2d Kenilworth Cape Fillies Guineas, Gr.1, Sceptre S., Gr.2, Choice Carriers Championship, Gr.2. CAPTAIN CORAGEOUS (02c, Royal Prerogative, Preamble). 9 wins-1 at 2-from 1000m to 2000m, R789,670, Turffontein Jubilee H., Gr.3, Drum Star H., L, Vaal Emerald Diamond Club Vaal River H.-twice, Newmarket Racing Express Speedhorse H., Vaal Racing Express Profile Advance P., 2d Turffontein Jubilee H., Gr.3, Randjesfontein Steinhoff International H., Turffontein Computaform Rating H., Newmarket Citizen Advance P., 3d Vaal Riverside H., L, Racing Express Fact File H., 4th Newmarket London News S., Gr.3. CAPTAIN’S SECRET (06g, Our Casey’s Boy, Harry Hotspur). 7 wins-2 at 2-to 1450m, R1,004,815, Kenilworth Cape Classic, Gr.3, Sophomore Sprint H., L, Clairwood River Lodge S., Marula Sprint, Kenilworth Omaha Beach H., 2d Greyville Drill Hall S., Gr.2, Vaal August S., Gr.3, Fairview East Cape Sprint Cup, L, Greyville Umngeni H., L, Call Centre S., Kenilworth Cocktails & Racing S., Clairwood All to Come Bet S., Kenilworth Luna de Miel H., Swedocar S., 3d Clairwood Mercury Sprint, Gr.1, Kenilworth Cape Flying Championship, Gr.1, Diadem S., Gr.2, Vaal Emerald Cup, Gr.2, Clairwood Egyptair International S., 4th Greyville Post Merchants H., Gr.2, Kenilworth Southeaster Sprint S., L.
CAPTAIN IN COMMAND (02g, Trigger Finger, Capture Him). 7 wins-2 at 2-from 1200m to 1600m, R504,205, Clairwood Umkhomazi S., Gr.3, Thukela H., L, Durbanville Tabgold S., Milers S., 2d Kenilworth Dave Gardener H., Dominion Royale H., 3d Kenilworth Green Point S., Gr.2, Matchem S., Gr.3, 4th Kenilworth Winter Guineas, Gr.3. CAPTAIN SPLENDID (12c, Fort Wood, Elliodor). 4 wins at 1600m, 2400m, R810,625, Fairview East Cape Derby, Gr.3, Greyville Lonsdale Stirrup Cup, Gr.3, 2d Fairview Algoa Cup, Gr.3, Greyville Gold Vase, Gr.3, Durbanville Settlers Trophy, L, 3d Kenilworth Chairman’s Cup, Gr.3, 4th Scottsville Track & Ball Derby, Gr.3. DOOSRA (13c, Caesour, Mecca Road). 5 wins to 1500m to 2017-18, R575,700, Turffontein Graham Beck S., Gr.3, Greyville Racing It’s a Rush H., Turffontein Have a Happy and Memorable Holiday P., Vaal Tabonline.co.za H., 2d Turffontein Studio 88 Invitational H., Kids Entertainment May P., 3d Turffontein Tony Ruffel S., Gr.3, Classic Day in April Progress P., Vaal Tab Telebet H., 4th Turffontein Dingaans H., Gr.2. REDCARPET CAPTAIN (12c, Kabool, Al Mufti). 5 wins-1 at 2-to 1400m to 2017-18, R892,875, Turffontein Protea S., Gr.3, Greyville Tabgold Sprint, Racing It’s a Rush H., Viva Save the Children H., Scottsville Reddy’s Cartage & Tanker Services S., 2d Scottsville Gold Medallion S., Gr.1, Greyville Itsarush.co.za S., Scottsville Nashua Maritzburg S., Track and Ball Gaming H., 3d Greyville Christmas H., L, Turffontein Ready to Run Cup, Scottsville Start of the Pick 6 Mega Carryover S., Itsarush.co.za H., 4th Turffontein South African Nursery, Gr.1. MANA MOU (06f, Harry Hotspur, Jungle Cove). 5 wins-1 at 2-at 1000m, 1100m, R393,750, Turffontein Man o’ War Sprint H., Gr.3, Scottsville Captain’s Call P., Vaal Computaform Express Allowance P., 2d Turffontein Bring the Whole Family P., Greyville Post Advertisers P., Turffontein Family Fun Day P., 4th Turffontein Bauhinia H., L.
CROWD PLEASER (13c, Charismatic, Gulch). 4 wins-1 at 2-from 1800m to 2200m, R770,250, Greyville Betting World 2200, Gr.3, Open a Betting World Account P., 2d Greyville Betting World 2200, Gr.3, Cup Trial, Gr.3-twice, Turffontein Charity Mile in November S., 3d Vaal All to Come Juvenile P.
CAPTAIN COOK (02c, Comic Blush, Jungle Cove). 4 wins from 1200m to 2400m, R356,310, Arlington East Cape Derby, Gr.3, 3d Kenilworth J&B Reserve Stayers H., Gr.2-twice, Durbanville Cup, L, 4th Greyville Darley Arabian H., L.
MYFUNNYVALENTINE (13f, Goldkeeper, Jallad). 3 wins-1 at 2-at 1150m, 1200m to 2017-18, R587,425, Turffontein Sycamore Sprint, Gr.3, For the Ladies S., Keith Basel Juvenile P., 2d Turffontein South African Fillies Nursery, Gr.2, Camellia S., Gr.2, Bauhinia H., L, Betting World P., Vaal Itsarush.co.za P., 3d Turffontein Side Step H., Vaal Tab Pays the Full Dividend No Limits H., 4th Scottsville Allan Robertson Championship, Gr.1. CAPTAIN CHAOS (12c, Rambo Dancer, Best by Test). 3 wins-2 at 2-at 1100m, 1200m, R524,600, Kenilworth Cape of Good Hope Nursery, Gr.3, Greyville Racing It’s a Rush H., 2d Greyville Racing It’s a Rush P., 3d Kenilworth Somerset P., L, Ready to Run S., Greyville Feed the Babies Fund S.
EIGHTH WONDER (12c, Fort Wood, Plugged Nickle). 3 wins-1 at 2-from 1000m to 1600m, R353,000, Kenilworth Cape Classic, Gr.3, 2d Kenilworth Winter Derby, Gr.3, 3d Kenilworth Itsarush.co.za H.
PETALA (12f, Tale of the Cat, Gulch). 3 wins-2 at 2-to 1400m, R239,500, Kenilworth Fillies Nursery, Gr.3, 4th Fairview East Cape Breeders S., L, Kenilworth Olympic Duel S., L, Perfect Promise H., L.
PRINCESS PEACH (14f, Badger Land, J. O. Tobin). 2 wins at 2, R326,625, Greyville Debutante H., Gr.3, 3d Kenilworth Sceptre S., Gr.2, 4th Scottsville Allan Robertson Championship, Gr.1, Strelitzia S., Gr.3. WHEREDOWEGO (10f, Fort Wood, Bush Telegraph). 2 wins at 2, Kenilworth Fillies Nursery, Gr.3, 3d Kenilworth Soccer Gg H.
FLOWER’S ANGEL (06f, National Assembly, Northern Guest). 2 wins at 2, Kenilworth Fillies Nursery, Gr.3. His sire sons include Captain Corageous, Waitangi, Captain of All, etc. AL MUFTI 4 wins-1 at 2-from 1200m to 2000m, R268,310, 2d Greyville Rothmans July H., Gr.1, Cologne Gerling Preis, Gr.2, Goodwood Foundation S., L, 3d Newbury St Simon S., Gr.3, Goodwood Predominate S., L, 4th Clairwood Mainstay International, Gr.1, Mainstay International Trial, L. Champion Sire in South Africa in 1999-2000. Sire of winners of over $20 million – 51 stakes winners, inc. ALASTOR, TOP SELLER, ROYAL FANTASY, HAPPY LANDING, LADY BROMPTON, ARABIAN LASS, CATALOOCHEE, GARB OF GUISE, CAPTAIN AL, GILDED MINARET, etc. 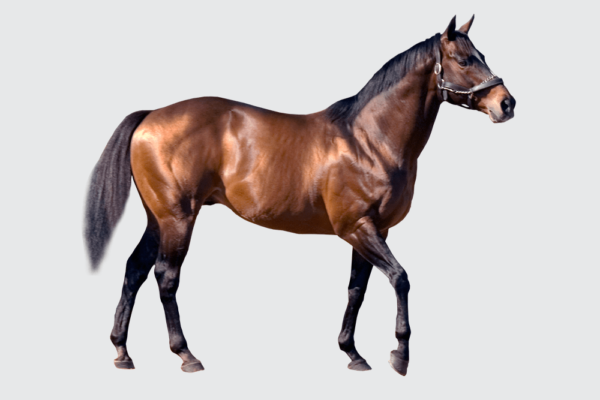 Maternal sire of winners of over $36 million – 68 stakes winners, inc. BOLD SILVANO, O CAESOUR, HEIR APPARENT, YORKER, LITTLE MISS MAGIC, DIVINE JURY, ROCK OPERA, COPPER PARADE, KINGS GAMBIT, AL SAHEM. The wait is on. After shattering all records with his first crop of juveniles, the quality of the mares sent to Captain Al in 2006 took on a new dimension. Great things are expected. Of course, improved quality of mares may be one thing, picking the right pedigree affinity can be another great help. Let’s look at his best runners. Captain In Charge. Narrowly defeated in the Gr1 Premier’s Champion Stakes as a 2yo, and subsequently exported. 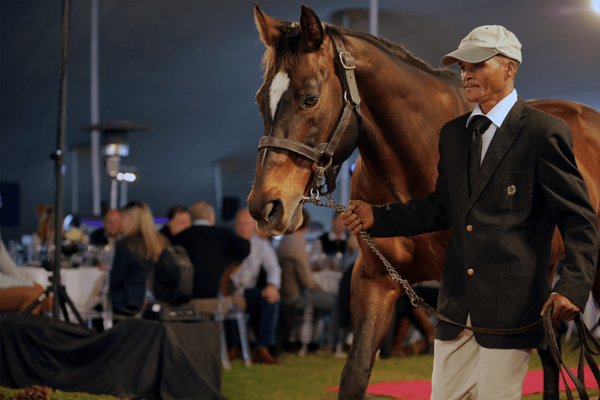 His dam Cry For The Lion is an unraced daughter of Gr1 Natal Oaks winner Danseuse Classique, from a top staying female line. The pedigree of Danseuse Classique (a daughter of Harry Hotspur bred on stamina extremes) shows her to be inbred 3×4 to two closely related daughters of Tudor Minstrel, Minstrel’s Pride (dam of Mexico) and Arietta (dam of second damsire Romulus). Danseuse Classique was mated to Elliodor to produce Cry For The Lion. Elliodor is inbred 3×4 to Court Martial, and turns out to be a close genetic relative of Minstrel’s Pride, thus building further on what Danseuse Classique had. This in turn was picked up by Captain Al’s third dam Beylic, a close genetic relative of Elliodor’s third dam Martial Loan (by Court Martial). The mating of Captain Al with Elliodor mares has seen ten runners to date, eight of them multiple winners, including highclass Lordship and stakes placed Show A Profit. The latter’s dam is by Elliodor from a Harry Hotspur mare – the same as the dam of Captain In Charge. Captain In Command was the first of Captain Al’s first crop to win a Graded race. His dam Encircle is by Trigger Finger out of Enticement by Capture Him. The dam of Trigger Finger, Royal Suite, is a very close genetic relative of Mr Prospector (sire of Capture Him), making Encircle inbred 2×3 to the pair. Added to that, the dam of Mr Prospector (Gold Digger) and the dam of Royal Suite (Nature) are genetic sibling of a third mare Bramalea (dam of Roberto, in Captain Al’s male line). That gives a 4x4x5 treble with the trio. It can’t be overlooked, though, that Encircle’s sire Trigger Finger is by Lyphard (also sire of Elliodor) and that Capture Him’s grandam is by Court Martial, giving the Court Martial double also found in Elliodor, and going back to Captain Al’s third dam Beylic. Encircle’s dam Enticement has another link, as she’s inbred to Court Martial and genetic sibling Mountain Path (dam of Sovereign Path). National Secret, the dam of Gr3 placed National Captain, is by Secret Prospector out of Gr1 winning race filly Grand National, by Port Merion (Abernant) out of a mare by Filipepi. The pedigree shows inbreeding 4×5 to Buckpasser, and 4×4 to the dams of Roberto and Mr Prospector (Bramalea and Gold Digger). 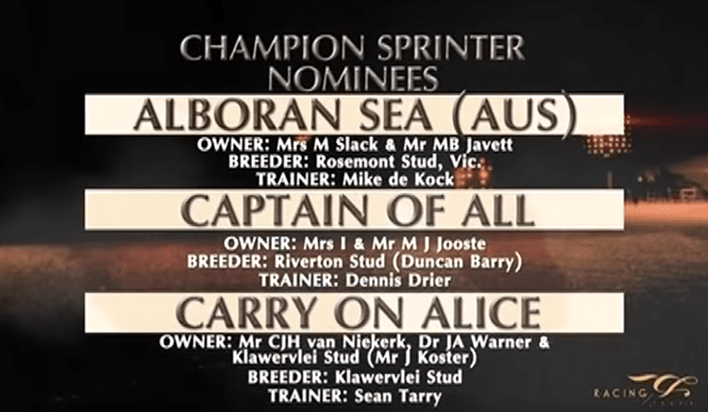 Then there’s the other view, which shows that Secret Prospector’s dam is inbred to genetic relatives Flower Bowl and Swaps (2×3), and that both are genetic siblings of Abernant, sire of National Secret’s damsire Port Merion. The pedigrees of Abernant and Court Martial are peas in a pod. It will not come as any surprise to find that Graustark and Captain Al’s third dam Beylic belong in the same camp as well. Things are taking shape. Captain Al’s highest rated son Admiral Jellicoe has as his dam Silver Thisle. She’s by Mexico (we met him already as the sire of Harry Hotspur, in Danseuse Classique and Show A Profit). Mexico’s dam Minstrel’s Pride crosses with Beylic. Cape Breeder’s Stakes runnerup Grand Duke is a half brother to a host of multiple winners, three of them by Captain Al’s damsire Complete Warrior, another by Trigger Finger. Their dam Uplands is by Elevation out of Cheteko, a daughter of Silver God, by Red God. The latter makes for the proven affinity cross with Buckpasser in Captain Al. But we also note that Elevation’s sire High Veldt and Captain Al’s third dam Beylic are close genetic relatives. The conclusion to be drawn is that Captain Al’s affinities go two ways. 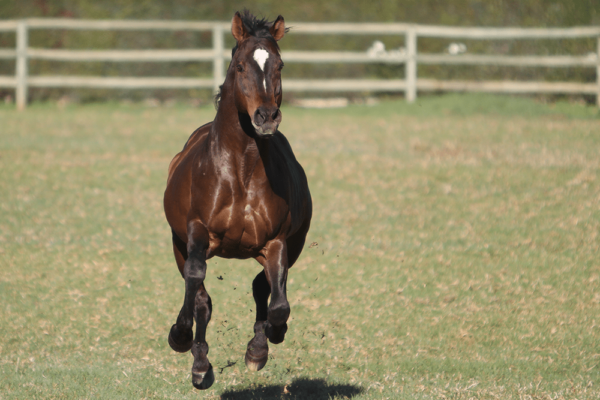 One seems to be the way his sire Al Mufti throws: through the clan of Buckpasser, and/or through Roberto – via Roberto’s sire Hail To Reason (Turn To), or dam Bramalea (back to her genetic sibling Gold Digger in Mr P.). The other view is that elements from Captain Al’s female line, notably his third dam Beylic, may be what matters. These elements involve combinations of Court Martial, Abernant, Hyperion, etc. 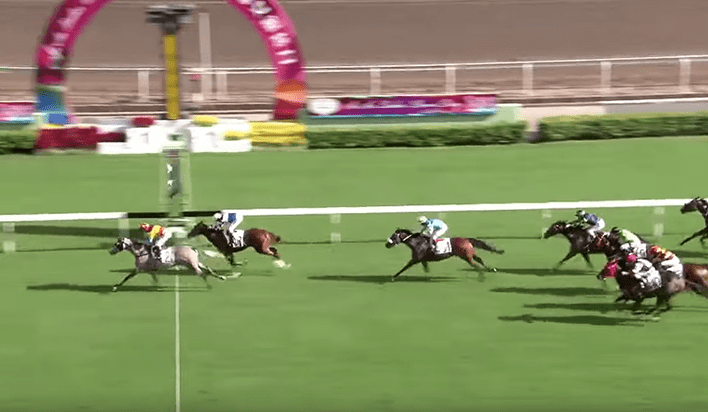 Further support for the latter theory comes from Captain Al’s own stakes winning half siblings, Mustang Manny (by Print) and Shadow Dancing (by Fort Wood). Fort Wood has a Hyperion affinity (from his dam, through Khaled/Swaps), while Print (a grandson of Sharpen Up) has as his grandam Jojo, who is a genetic sibling of Beylic. The multiple appearance of Buckpasser (from Al Mufti and Complete Warrior) leads to other members of the Tom Fool-clan. This affinity-inbreeding involves Tom Fool and his son Buckpasser, Nijinsky’s grandam Flaring Top, and Blushing Groom, a son of Red God whose dam Spring Run is a Tom Fool genetic sibling. Two lesser known Tom Fool genetic sibling sources are Admiral’s Voyage (damsire of Danzig) and the mare Dinner Partner (by Tom Fool, she is second dam of Caesour). The pedigree of Dinner Partner has much in common with Hail To Reason, and consequently also with the one of Al Mufti. Hail To Reason is another Tom Fool-clan affinity member – which puts the 2×2 Hail To Reason x Buckpasser double in Al Mufti in perspective. Mares whose pedigrees combine any or all of these Tom Fool-clan members might well give spectacular results with Captain Al. Now that he has established himself, his books should include well performed mares with Jallad, Dancing Champ, National Assembly, and the like. On the other side of the equation are the Court Martial and Hyperion elements. The presence of Harry Hotspur and sire Mexico in Captain Al’s best (so far) cannot be taken lightly. Elliodor and Lyphard will no doubt feature prominently in future generations. In this context, Trigger Finger may well have a special significance for Captain Al. b) Nijinsky – Dancing Champ, Russian Fox, etc. c) Red God (Blushing Groom) – Jallad, etc. e) Hail to Reason (Turn To, Royal Charger) – widespread, notably Sadler’s Wells, Fairy King, Rakeen, etc. Mares with strong backgrounds of Court Martial and/or Hyperion, notably Harry Hotspur/Mexico, Lyphard/Elliodor; Sharpen Up (Kris, Diesis); etc. Mares with Hyperion affinity elements, as in Swaps (Fort Wood, Rakeen), Flower Bowl (Graustark, HisMajesty); Danzig (widespread); etc.